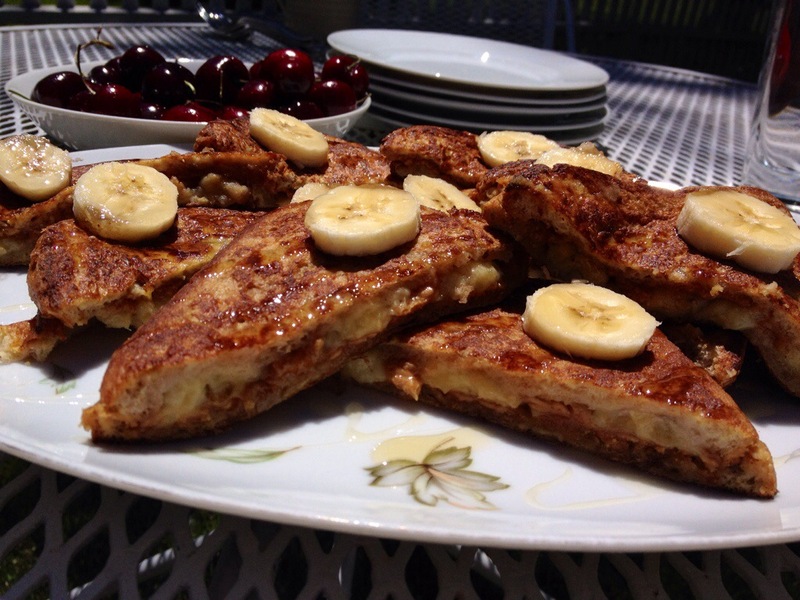 Several years ago I had a bunch of pre-made peanut butter and jelly sandwiches that didn’t get eaten, so I decided to make them into French toast – with amazing results that inspired this weekend’s breakfast. 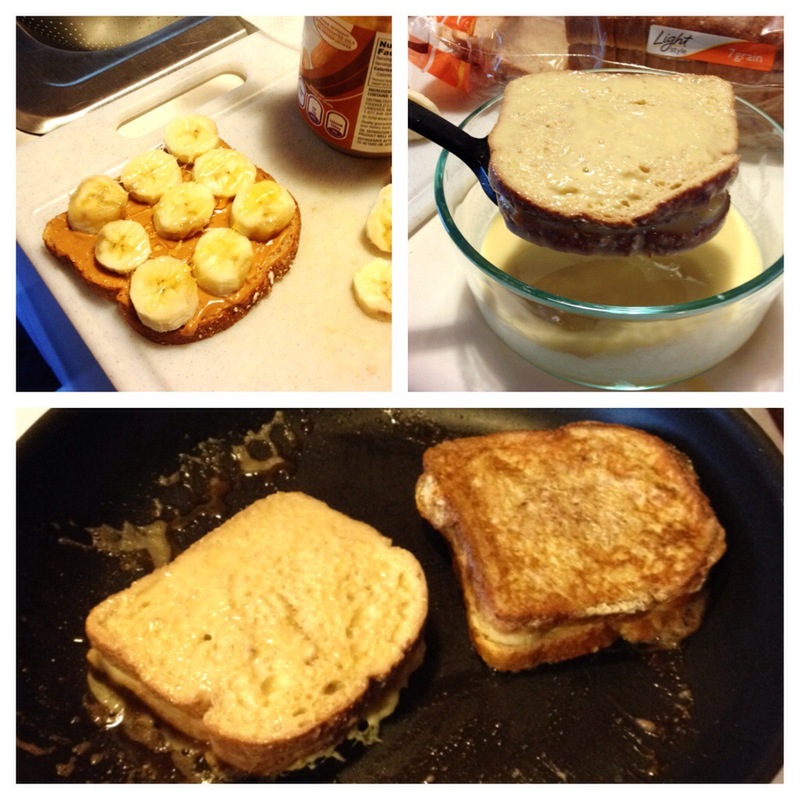 So stupid delicious and easy! Definitely try this one.